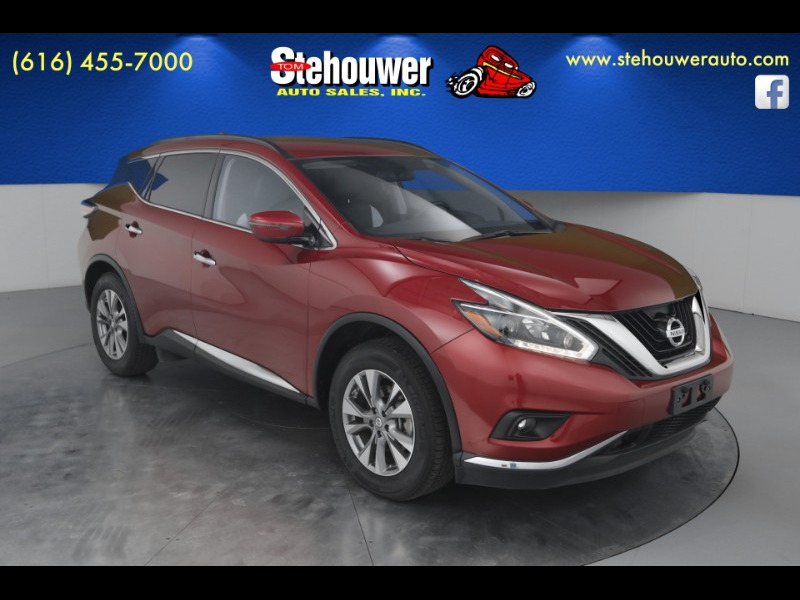 2018 Nissan Murano SV AWD 3.5L V6 DOHC 24V CVT with Xtronic CARFAX One-Owner. Clean CARFAX. One Owner, Actual vehicle shown!, CVT with Xtronic, AWD, ABS brakes, Four wheel independent suspension, Front dual zone A/C, Navigation System, Power driver seat, Heated leather, Traction control. 21/28 City/Highway MPG Odometer is 4982 miles below market average!